Resourceful Renovator - Rediscover the beauty of your home. We hired Resourceful Renovator for a small kitchen remodel and to refinish our floors and we couldn’t be happier with how it came out. I can not say enough good things about their crew. In addition to doing backbreaking work all day, they were super friendly and polite. They showed up on time every day, and were very open to all my questions and suggestions. I was really impressed at how tidy they left the construction zone at the end of each day. Rob was quick to reply to any questions that I had and I was never left wondering. Our kitchen came out beautifully. Would definitely recommend! 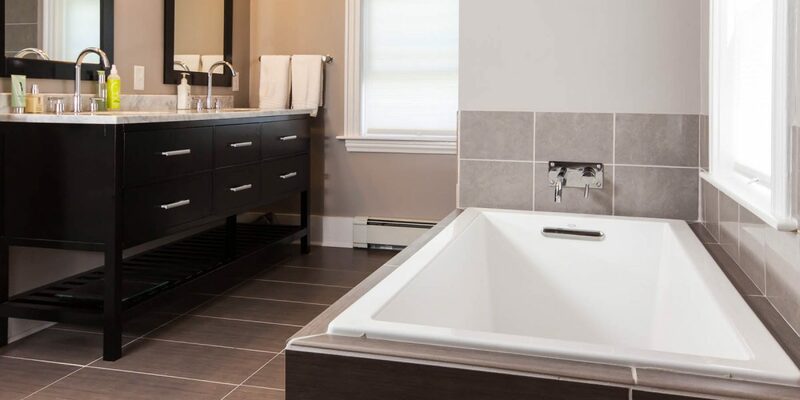 They did a beautiful job: bathrooms, floors and other work that needed to be done. Very easy to work with and great with our three young kids who were very curious about what they were doing – we couldn’t be more pleased! They did a renovation on our kitchen and bathroom and added on a mud room that juts out into our garage. They are professional, responsible, thorough, considerate, and worked with us to stay within budget. Rob and his team did an amazing job and finished within the estimated time frame. Communication was excellent as was the creativity to work with a small home to provide us with what we wanted. This is an excellent company to work with. And, no, I’m not related to any of them, nor had I heard of this company before we contacted them for an estimate! We are so pleased with our new kitchen/dining room. Thank you for your professionalism + friendliness and awesome work! We had an excellent experience working with Resourceful Renovator on a large addition project. They were flexible and creative and worked diligently to stay within our budget – a budget which two other builders weren’t even interested in working with. Their work is high quality and tasteful. The team is great to work with, they are good communicators, and they took great care of our home while we were not there. We would work with the Resourceful Renovator team again in a heartbeat! From project planning to final cleanup, Rob and his crew were professional, prompt and extremely hard working on our kitchen/first floor makeover. The crew was in constant communication with me as to progress and what to expect each day.Rob was always available for my silly questions. I changed my mind or asked for additional work at several times during the project and they handled my requests with professionalism and ease. Despite the extra work, project came in under budget. Highly recommended. I’ve already booked more work with them. Welcome! 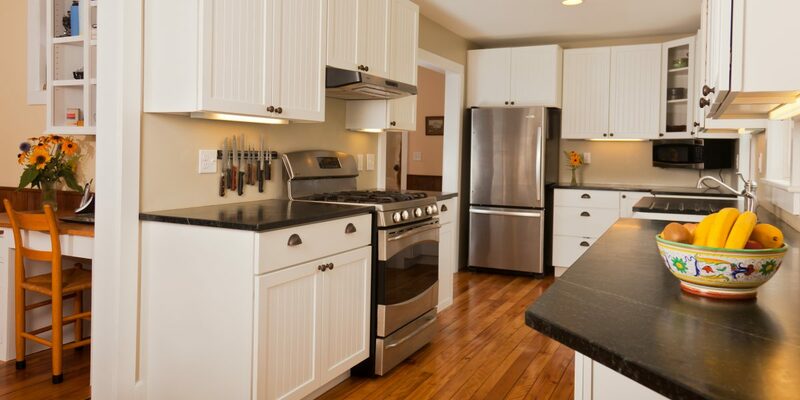 Resourceful Renovator has been in business since 2005 and is based in Richmond, VT. Throughout the years, we have had the opportunity to work on many homes, but in the pages here you will be able to get a sense of who we are and the kind of work we enjoy. Please check out our Featured projects to view a few of the top-notch and award-winning projects that we brought to fruition. The Gallery displays some dramatic Before and Afters that will help you dream of what your space can become. Reviews allow us to brag about what some of our many happy clients have had to say about us. Would you like to join them? Contact us and let’s get started! After living in this home for twenty years and raising two children, the homeowners justly decided it was time for a big renovation. This Greek Revival home was built in 1848 and is one of a handful of original farmhouses from Burlington’s agrarian past. Ever seen Animal House? Our clients’ home had seen many UVM parties in its former life as a rental duplex. It was a pleasure to take a cut-up duplex and transform it into a gorgeous three bedroom, two bath single family home.